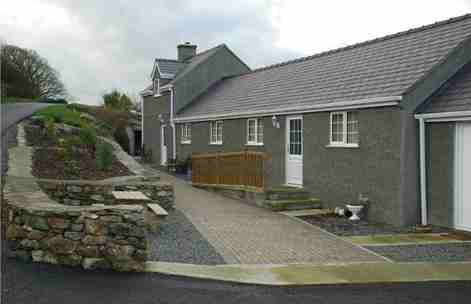 Staying in a self-catering holiday cottage on Anglesey is a great way to experience this island. You can choose from a wide range of interesting locations. You have probably decided that you prefer to do your own thing. But you still want to be sure that this is the right type of accommodation for your vacation. We will try to assist you in your decision. 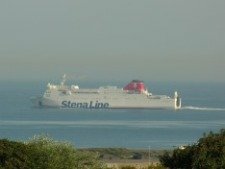 Enjoy stunning sea and country views, overlooking the Irish Sea and Isle of Man. A choice of 2 recently converted farm buildings as self-catering cottages or bed and breakfast. Eighteen acres smallholding close to the town of Amlwch and Parys Copper Mountain. If you want a to use your holiday cottage as a base for exploring the island, that's fine. 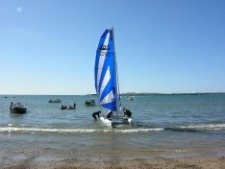 The best ways of getting around Anglesey are by car or bicycle. And you can get from one side of the island to the other usually within half an hour or so by car. You could stay on the eastern side and enjoy spectacular mountain views of Snowdonia. If you choose this option you will be close to a number of attractions. The fine gardens and National Trust Country House at Plas Newydd are nearby, as are Beaumaris Castle and Penmon Priory and Dovecote. There again, you may choose the soft, south coast of the island. Between Rhosneigr and Newborough there are miles of outstandingly beautiful coastline. You will find a fair few holiday cottages within minutes of this relaxing and inspiring coast. Whether you want space for a peaceful break or a base for watersports and nature walks, this is an ideal part of the island. Go to the west and you are on Holy Island. 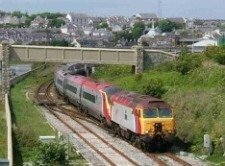 Here you will be close to the historic port of Holyhead and the sandy beaches at Trearddur Bay and Porth Dafarch. 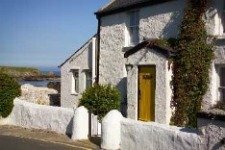 You'll find a number of cottages spread across this westerly part of Anglesey. A great place to settle down for an evening meal and watch the sunset. Along the unspoilt north coast you will find some nice places to stay. 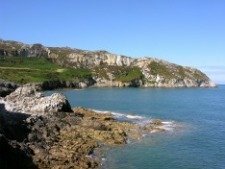 You could be close to the historic Parys Copper Mountain and Amlwch port or the tranquil woodland walks around Cemaes. Near Cemaes you can also get to the nature reserve at Cemlyn, managed by the National Trust. Before you can relax in your favourite Anglesey holiday cottage it is best to go through the points below. Do this now and you will avoid potential headaches later. Need to get travel information and map, directions to cottage, access details including where you collect the keys, and consider arrangements if you arrive in the dark. Is there a cancellation policy and does the rent include the premium for this or do you need to arrange this separately? What is covered in cancellation? Sudden illness or accidents to yourself, your immediate family and others within your party is usually covered. Check the detail for exclusions. Request list of what is provided in the cottage. You may or may not need to take some items of bedding, hand towels and cutlery. Are the bedrooms en-suite or do you have to share a bathroom or toilet?This is particularly important if there is a big group sharing the property. Is there a bath and shower and are towels provided? What are the facilities for children? Cots,highchairs and nappy changing facilities. Is there a playing area for children? Consider the layout of the property. Check for potential hazards such as ponds, steep gardens and potentially dangerous outbuildings. Of course, kids love to explore but these points need checking. Are there any facilities for people with disabilities? Look at options for wheelchair users, such as width of doorways, ease of operating curtain rails, bathroom support appliances. Is there a cleaning service, and if so, do you have to pay extra or is it included in the price? Consider heating and electricity. What arrangement is there for recording the amount you consume? Are there additional costs, say for logs or coal? Does the kitchen have a microwave, dishwasher, freezer and a full size cooker? Is there a washing machine in your cottage or do you share this service with others? What about a drying area or is there an electric dryer in an utility room? check for adequate on-site parking. Do you have to share with others? Is parking feasible for disabled guests?